This comprehensive guide to wire-wrapped jewelry teaches 30 expert techniques for creating complex and fascinating focal designs. Includes 8 step-by-step projects for making stunning necklaces, pendants, brooches, hairpins and earrings. Wire wrapping is a quick and easy technique that will take your jewelry craft to the next level. A little wire, a few simple tools, and some brightly colored beads are all you need to start creating your own intriguing fashion statements. By adding new wires to basic links, you can alter simple links into complex and fascinating focal designs. Wire-Wrapped Jewelry Techniques teaches 30 expert wire wrapping methods, such as forming bent-wire links, working a wrapping pattern, wrapping sequential layers, embellishing decorative loops, adding coil elements, and much more. 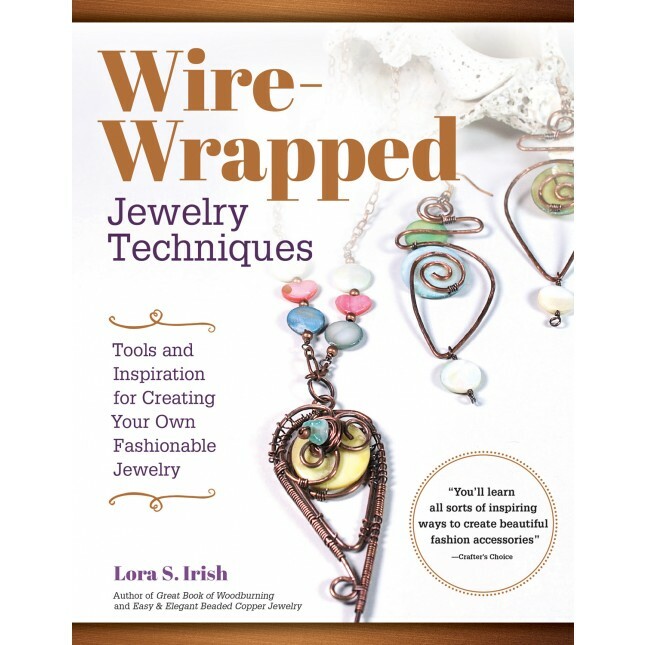 This comprehensive guide to wire wrap jewelry includes 8 step-by-step projects for stunning necklaces, pendants, brooches, hairpins and earrings.